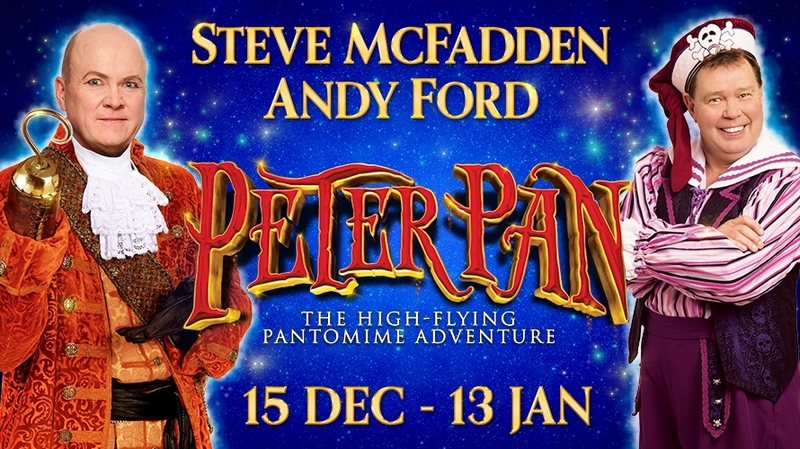 Qdos Entertainment in partnership with Theatre Royal Plymouth is delighted to present a unique opportunity for two pairs of boys to appear in this year’s pantomime alongside Steve McFadden and Andy Ford. Thursday 5th October 5pm – 7pm . You must call Box Office on 01752 267222 to register. Registration closes at 8pm Wednesday 4th October. Places at the audition are strictly limited and offered on a first come first serve basis. We will notify you on this page when places are full. For the audition, participants should prepare a short monologue, poem or rhyme to present and also be prepared to read a short excerpt from the script. Please do not register for a place if you don’t meet the following requirements. Please note those who don’t meet the requirements will not be allowed to audition. Please bring plenty of food and drink as there will be limited refreshment facilities available at TR2. No alternative audition dates are available. Information about the Panto Babes audition will be released soon.